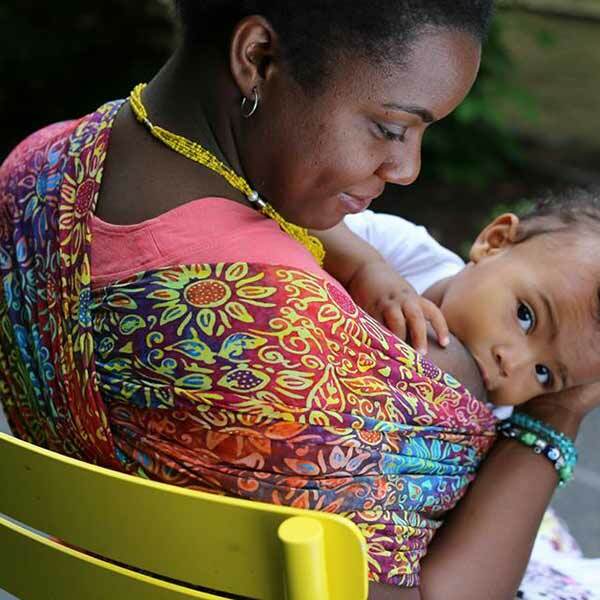 Wrapsody Hybrid wraps are unique in the babywearing world. Called Hybrid because they combine qualities of stretchy and woven wraps. How is Wrapsody Hybrid like a stretchy wrap? 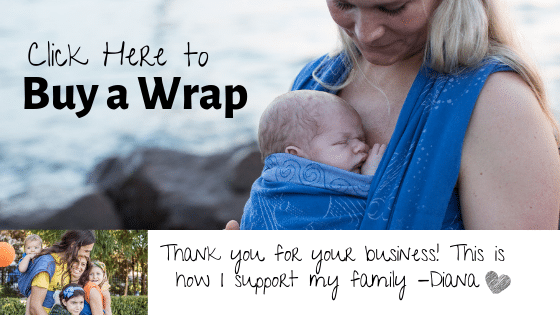 How is Wrapsody Hybrid like a woven wrap? 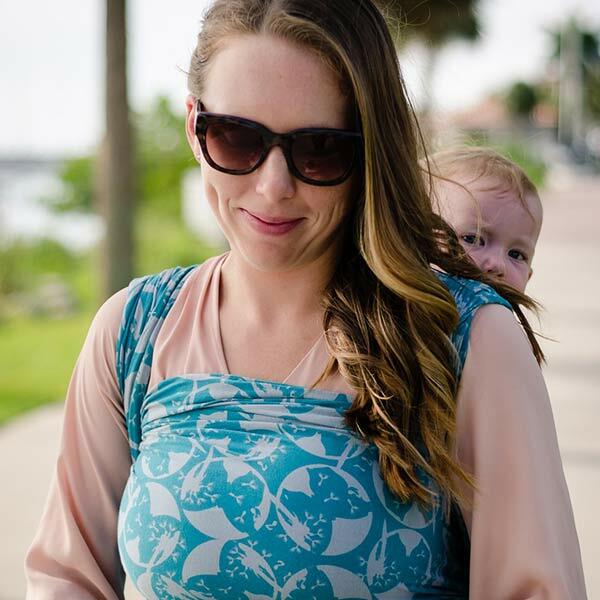 Horizontal but not vertical stretch means that the Wrapsody Hybrid has a very comfortable stretch but is fully supportive so that it is safe for use in back carries, single layer carries, and toddler carries. 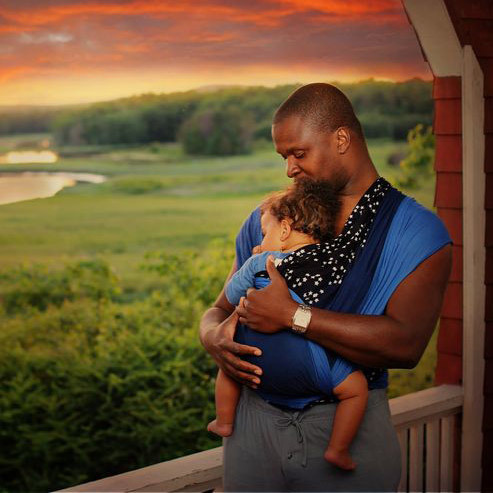 If a stretchy wrap starts to sag or pull around 6 months old, you don’t have to worry about that with a Wrapsody Hybrid – you will continue to have that weightless comfort and support as long as you wish to carry your baby. Lightweight and very soft but still supportive, Wrapsody Hybrid feels like your favorite t-shirt. Wrapsody Hybrid wraps are not hot or heavy but much cooler than other stretchy wraps. 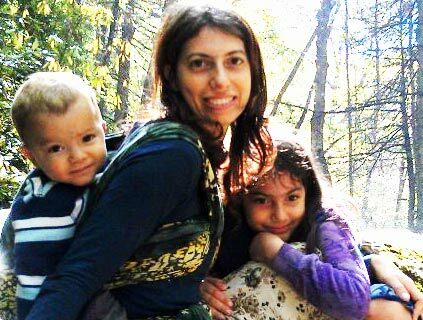 Unlike a structured buckle carrier, Wrapsody Hybrid wraps fit every baby and parent perfectly, at every age and stage. Wide fabric spreads across your shoulder and back for better weight distribution and more comfort than a carrier with straps. No rings, buckles, or weight-bearing seams, there are no breakable parts and no uncomfortable pieces, just strong, soft fabric. Easy to care for – machine washable, tumble dry. 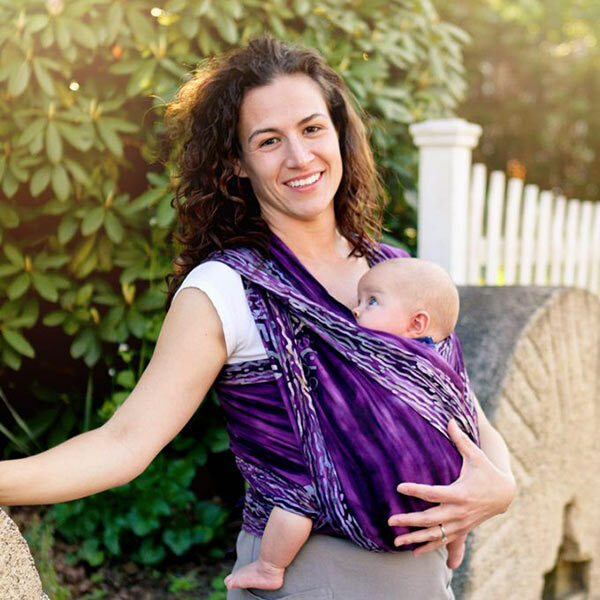 Originally called Wrapsody Bali Baby Stretch, these wraps are sewn and batiked in Bali, Indonesia under fair trade practices. 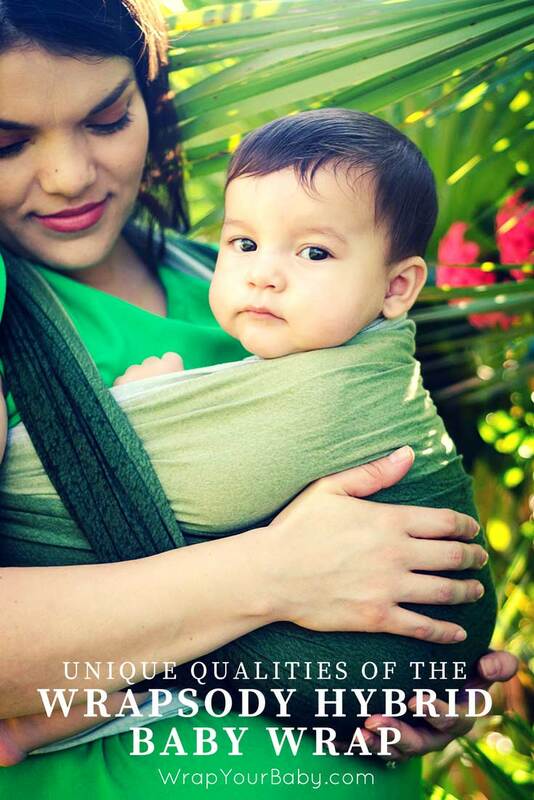 The wraps are hand dyed by a family-owned business with dyes that meet stringent ISO-9001 standards, certified to be safe for the environment, for you, and most importantly, for your baby! The soft, 100% cotton fabric is carefully chosen for the most comfort and support for parent and baby and for ease of use while being lightweight and not cumbersome. Wrapsody Hybrid wrap packaging is minimal, reusable, and emphasizes eco-friendly materials. Enough reasons to love Wrapsody Hybrid wraps? If you think so, share with a friend who needs a baby carrier. This may be the perfect one!